How to embed a dynamic & responsive HTML table with filters and sorting features? I would like to create a simple website with Webflow, showing a dynamic table that the user can filter and sort, and which would be responsive. What would be the best solution? For the moment, the best solutions that I’ve seen consist in storing the table contents in a Google Sheets, and embedding a table generated by Awesome Table or Google Data Studio (see this example) which would be connected to this Google Sheets. Do you have any other nice (and free) suggestions? Can you articulate what you mean by dynamic table? It could mean different things to different people. Hello by dynamic I mean that the table contents changes dynamically if the user interacts with it using the filter/sorting controls, or if the data source changes. First you need to embed the table code, then you can add CSS styles to make your table responsive in custom code. 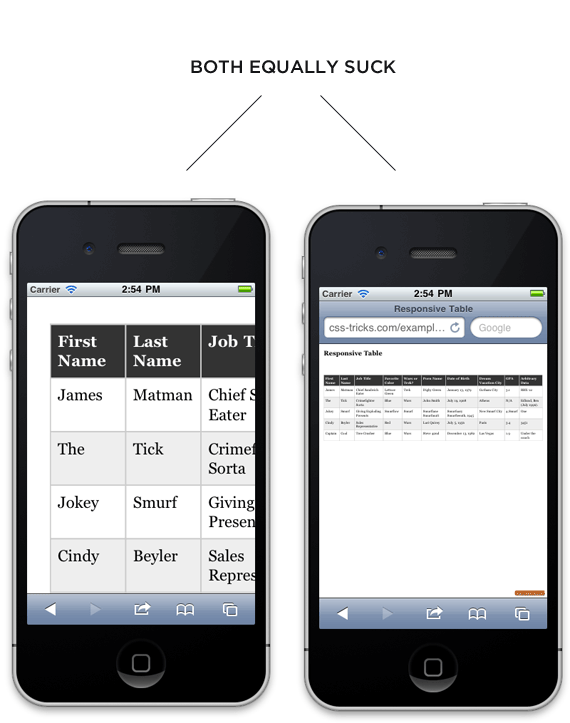 Here is a decent resource on how to make a table responsive. You should review the demos at the site link I shared. IMHO, This is the most comprehensive solution available. There is nothing special about using it on Webflow. I use this tool for backend admin interfaces I build. So no, I can’t share any. You will probably need to enlist the services of a developer for your project if you are new to building sites/web development. Thank you @webdev. I would like to generate the table from a CMS collection (one row per collection item, one cell per collection field). Do you know if that is possible? Not from within webflow, since tables are not supported so you can’t use table rows, cells, and columns as a collection list. You would need to create the table manually. You could export the collection data and then convert that to an html table ditching fields as needed. You would manually need to create links. I don’t know what your use case here is. If this is not a hard requirement, I would try to simplify what you are trying to do with existing capabilities and features. Thank you @webdev for the fast reply! I’m building a website that lists some tools, and I would like to show a card view and a table view for listing these tools. The CMS collection for the tools has some boolean fields defining the tools functionalities. And I would like that the user has the ability to filter the list of tools by the functionalities that interest him. That’s why it would be great to be able to create a dynamic table with built-in filtering functionality in columns headers.